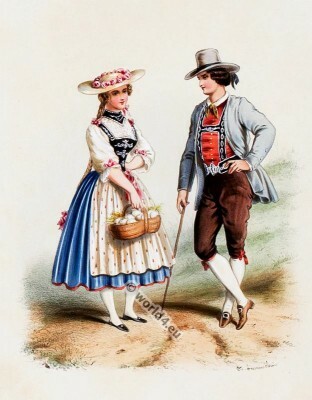 Traditional Switzerland national costumes. 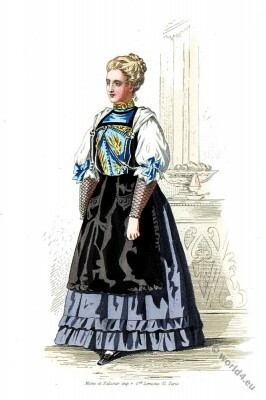 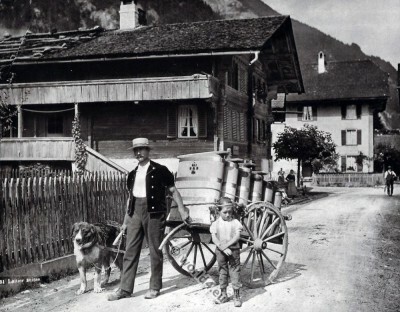 Swiss folk dress. 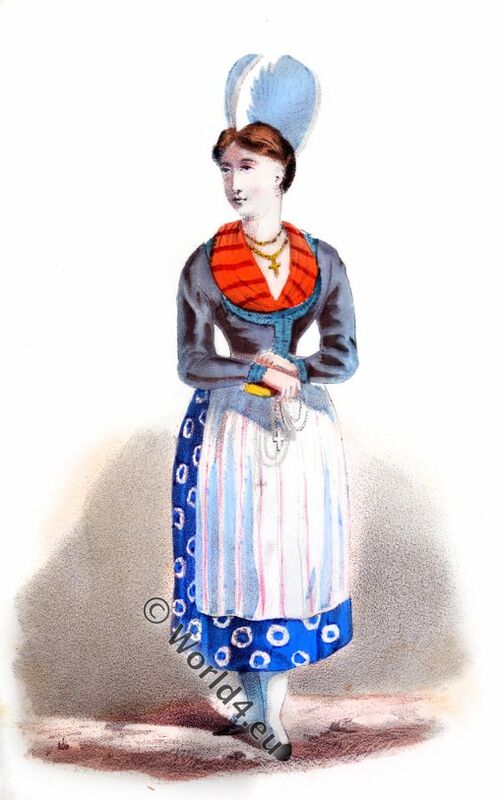 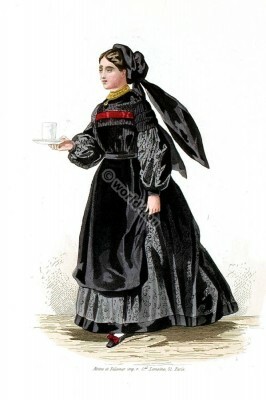 Swiss pastry shop costume, 19th century. 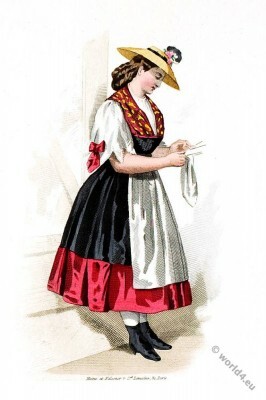 Costume of the Swiss pastry shop in the Expo Park. 1st May to 2nd November 1873 in Vienna. 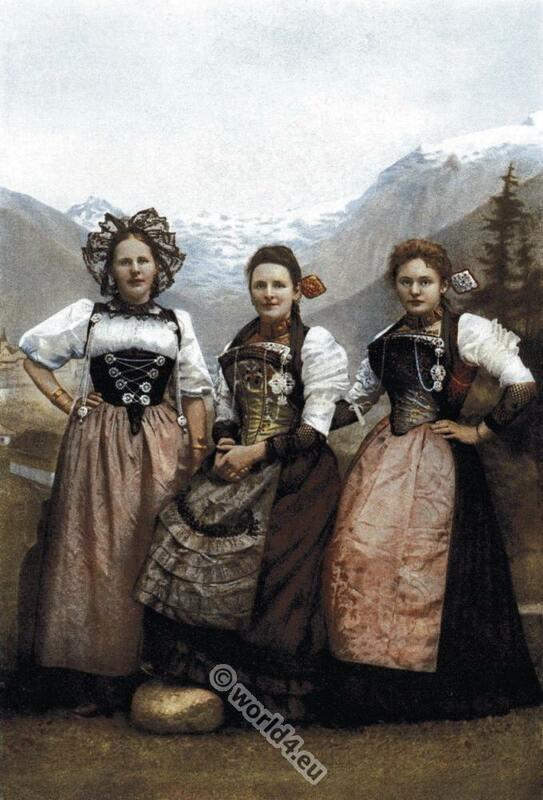 This entry was posted in 1873, 19th Century, Switzerland and tagged Souvenir de L'Exposition Universelle de Vienne, Traditional Switzerland costumes on 11/5/15 by world4. Three Swiss girls in traditional costumes. This entry was posted in 10s, 20th Century, Switzerland and tagged Living Races of Mankind, Traditional Switzerland costumes on 1/30/15 by world4. 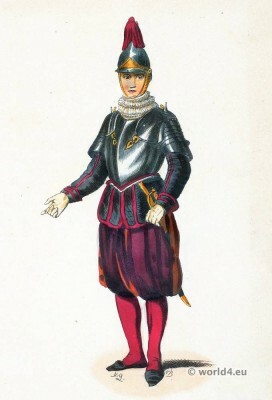 Sergeant Swiss Guard of the Pope. 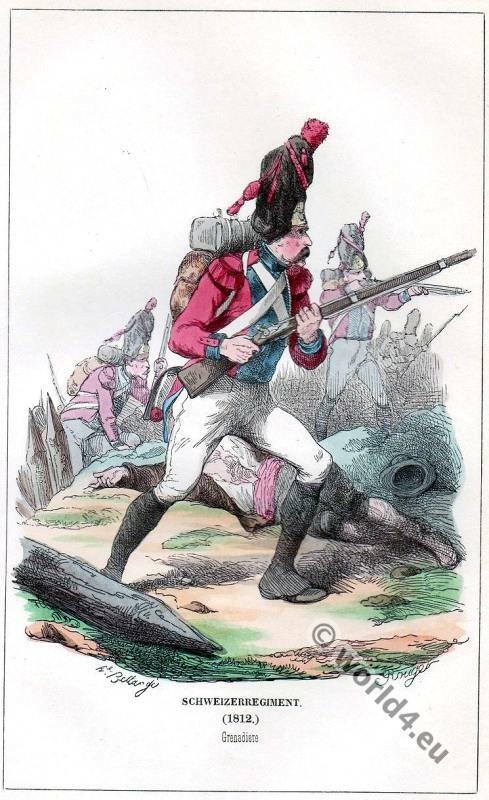 Costume Sergeant Swiss Guard of the Pope 1834. Sergent Suisse de la Garde du Pape. 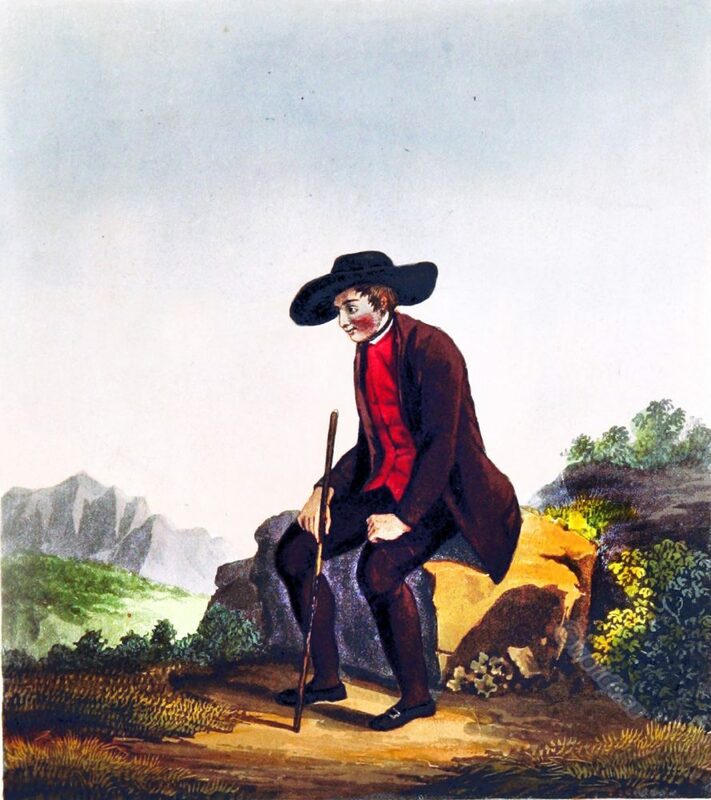 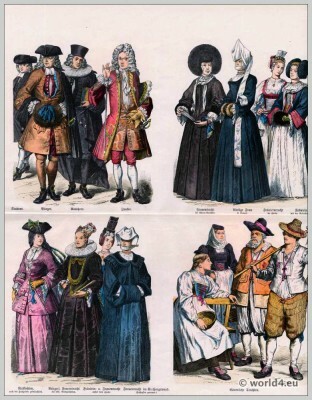 Gallery: Manners, customs and costumes of all peoples of the world, based on authentic documents and and newer travel by Auguste Wahlen. 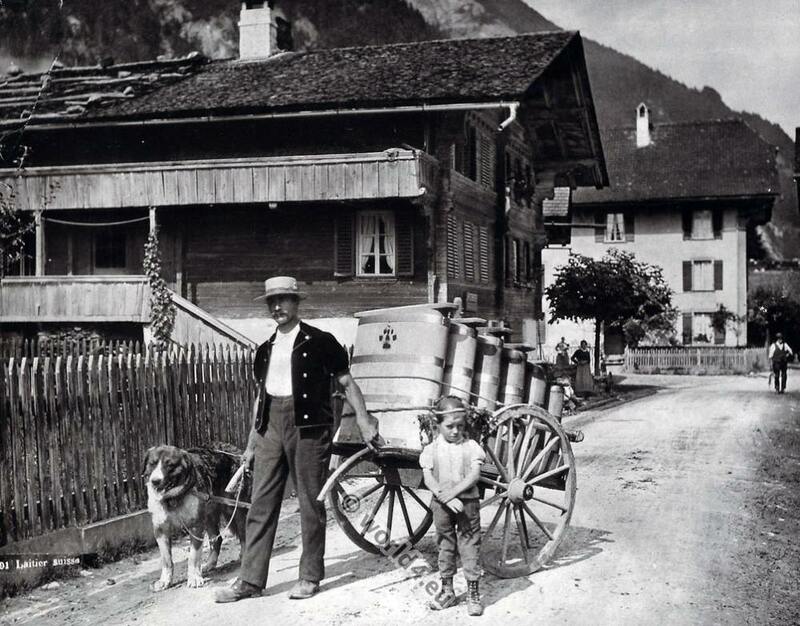 This entry was posted in 19th Century, Military, Switzerland, Traditional and tagged Traditional Switzerland costumes on 7/25/14 by world4. 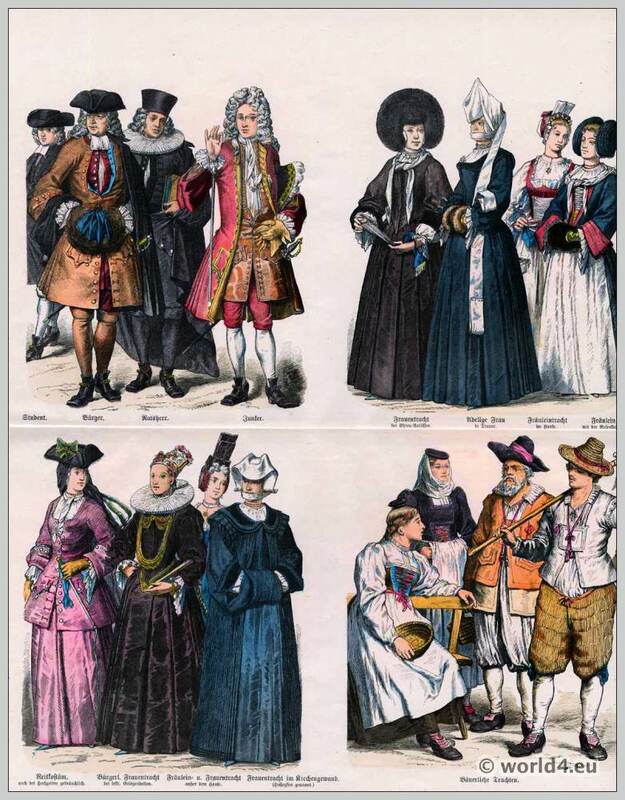 This entry was posted in 18th Century, Baroque, Nobility, Switzerland, Traditional and tagged Canton of Zurich, Münchener Bilderbogen, Traditional Switzerland costumes on 1/23/14 by world4.